Siemag Industries is an ISO-9001:2008 accredited firm, engaged in manufacturing and supplying Fluid Power Accessories like Cartridges, Air Dryers, Filters and Cable Cylinder. 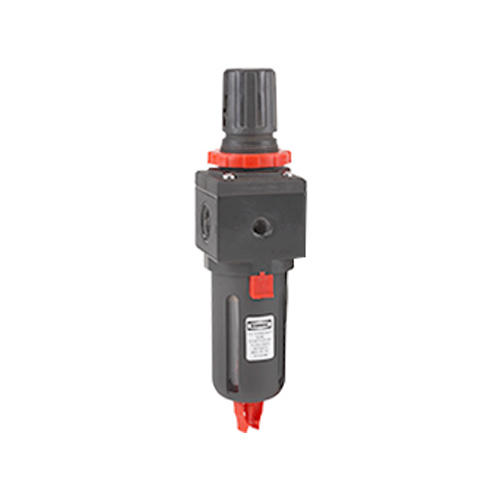 Siemag offers a wide rage of air line accessories such as filters, pressure regulators and lubricators, instrumentation AFR, blow guns, pneumatic cylinders, solenoid valves, needle valves, flow control valves and other pneumatic products such as fittings, tubing, vac blow guns, etc. The company pioneered the indigenous version of modular concept of air filters regulators and lubricators with interchangeable pipe port inserts resulting in drastic reduction in inventory and service down time for users. To cater to the constant demand of high quality air, a series of high tech product such as micro coalescors, activated carbon filter, duel stage moisture separator, pop up valve, differential pressure gauge and knock out drums. The micro coalescors, activated carbon filter and knock out drums are manufactured with a technical back up from PSI Global, U.K. As a part of diversification program, new products such as Auto Flush valves and Reciprocating Pumps have been added to the existing range.